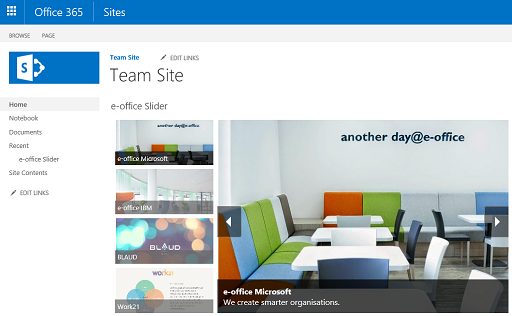 Responsive slider for SharePoint. All browsers support, desktop and mobile devices. Once the e-office slider has been installed, it can be added to a SharePoint Page within any SharePoint Site. 3. Select Apps from the Categories list and then select the e-office Slider App Part. 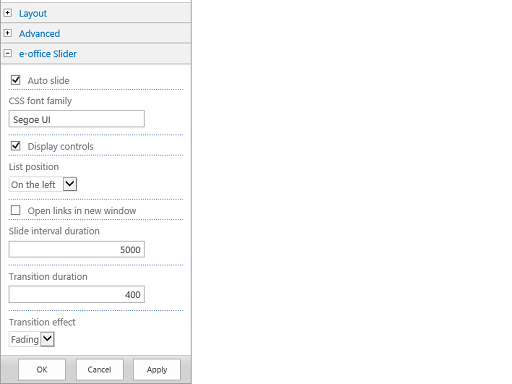 e-office slider settings or leave the defaults. You can change the size from the Layout section. 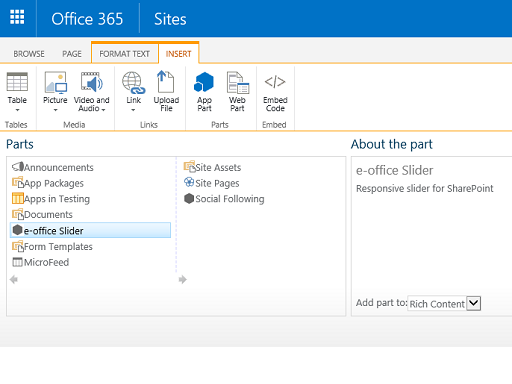 If you can’t locate the e-office Slider List, click View All Site Content, and then click the name of the e-office Slider. 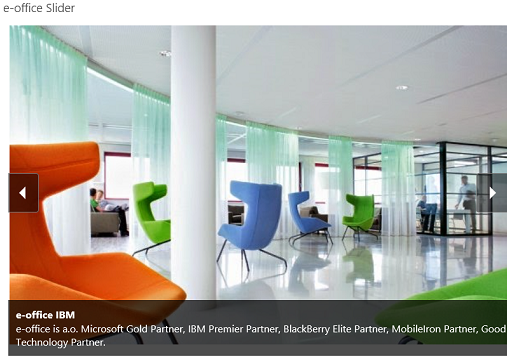 Its is responsive ? when i adjust the size of the browser it won't affect the changes. I came from Rationally Speaking. This is a very good article. This article is very useful for me.